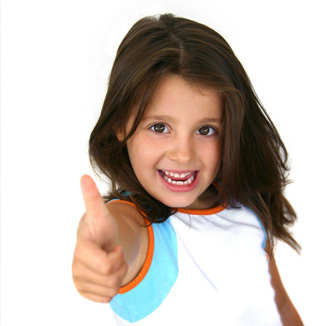 The American Association of Orthodontists recommends that children see an orthodontist as early as age seven. At this point the orthodontist will evaluate whether your child will need orthodontic treatment. Early treatment typically begins around age eight. The goal of early treatment is to correct the growth of the jaw and certain bite problems, such as underbite. Early treatment also helps to make room for permanent teeth to come in properly, lessening the chance of extractions in the future. By the age of seven, the first adult molars erupt, establishing the back bite. During this time, an orthodontist can evaluate front-to-back and side-to-side tooth relationships. For example, the presence of erupting incisors can indicate possible overbite, open bite, crowding, or gummy smiles. Timely screening increases the chances for an incredible smile. 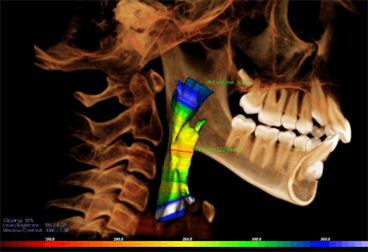 With our new iCAT Cone Beam 3D Imaging machine, we can now not only screen the teeth, but also evaluate any airway issues such as sleep apnea, enlarged tonsils and/or adenoids, etc. Dr Falsafi then works hand-in-hand with an ENT specialist to determine appropriate treatments for patients.